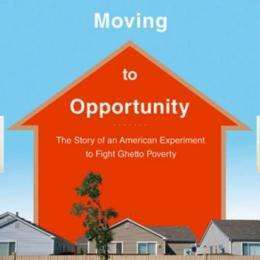 The cover to Xavier de Souza Briggs's book, "Moving to Opportunity: The Story of an American Experiment to Fight Ghetto Poverty." In 1994, the United States government launched an ambitious social experiment: Federal officials offered thousands of families who were receiving housing subsidies — and living in some of the nation's highest-crime neighborhoods — the opportunity to move away. And so, housing vouchers in hand, about 5,000 American families in five cities — Baltimore, Boston, Chicago, Los Angeles and New York — moved to nicer urban and suburban locales, looked for jobs, entered new schools, and renewed their lives, courtesy of the government’s $80 million “Moving to Opportunity” (MTO) program. However, geography is not destiny. The MTO experiment did not so much transform lives as produce unanticipated results: It helped girls more than boys, for instance. Parents enjoyed major drops in anxiety and depression — but not gains in incomes. All told, better surroundings appear valuable but not sufficient conditions for climbing out of poverty. “Changing your neighborhood does not change your social world,” says Xavier de Souza Briggs, an associate professor of sociology and urban planning at MIT. Now Briggs has co-authored a new book analyzing the program, Moving to Opportunity: The Story of an American Experiment to Fight Ghetto Poverty, along with Susan Popkin a senior fellow at the Urban Institute in Washington, and John Goering, a professor at Baruch College in New York; the volume was published by Oxford University Press this spring. MTO was constructed as a randomized scientific experiment. MTO families received housing vouchers while another set of people — the “control group” — remained in public housing. But as Briggs notes, the persistence of social networks was a powerful force shaping the lives of MTO families even after they left the inner city. Teenage boys often visited their old neighborhoods and fell back into gangs; needy relatives still weighed on the MTO families. “Boys in particular remain embedded in wider networks and frequently can’t free themselves from violence and drugs,” explains Briggs, speaking from Washington, where he is currently working in the White House as associate director of the Office of Management and Budget. On the other hand, young women benefitted from a lessened danger of physical assault and sexual abuse. “It gives us reason to think the exposure of women to predatory behavior, and the resulting freedom from the fear of predation due to MTO, is very important,” adds Briggs. All told, MTO families moved into areas with a collective violent-crime rate that was just one-quarter of the rate in the urban neighborhoods they left behind. Yet as the book notes, four to seven years after MTO started, there were “no significant impacts on employment, earnings, or receipt of public assistance.” Later evaluations of MTO did find some “modest” improvements. Working women under 33 who moved earned $33 more per week (showing the program’s unequal gender effects). MTO adults who moved to suburban neighborhoods earned about $75 per week more. But as the authors state, leaving crime-ridden areas “did not, in fact, mean relocating to a job-rich zone” for most MTO families, largely due to “backbreaking” rents in safer neighborhoods. Nationally, 6 million households spend more than half their income on rent or live in “severely substandard” housing, up from 3.6 million in 1978. In the case of MTO, the vouchers helped the families pay rent, but did not wholly subsidize rents. During a time period, after 1994, when housing prices rose dramatically in the metropolitan areas used in the experiment, many MTO families moved back to their old neighborhoods because they could not afford to live in thriving areas. Other researchers are impressed that Briggs, Popkin and Goering have turned the data-intensive project into a book-length narrative, which is based heavily on interviews they conducted with MTO participants. “It helps readers understand the problems of ghetto poverty, and tells the story of MTO, warts and all,” says Margery Austin Turner, a vice president at the Urban Institute, a nonprofit research center in Washington. That complexity leaves Briggs and his colleagues contemplating a lengthy list of policy ideas to address urban poverty in the future, beyond housing. The parents in MTO were often under severe emotional stress; Briggs believes the implementation of universal health-care coverage in 2013 will help the poor get treatment for their mental-health problems. Sounds like an interesting study. I wonder what their statistics look like. I wonder if they have statistics.